Every wedding needs special pew markers to line the aisles, and our candles are the ones for the job! They can be placed or hung down the aisles to provide a truly unique charm and fill the area with a splendid scent. 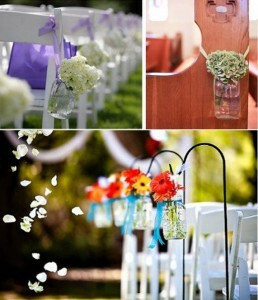 In addition, your repurposed Mason jars can hold flowers for the pew markers, or contain symbolic memorabilia pertaining to the bride and groom. 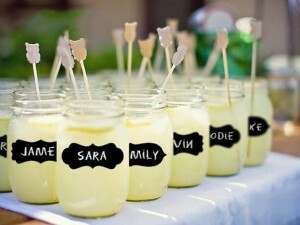 What better way to include Mason jars in the wedding than to give them a dual purpose? After you specially mark your jars and distribute them as drinking glasses, all your guests will want to take them home as a refreshing reminder of the good times. Cheers! Have different areas of reception or multiple rooms that you think need to be better defined? Then bring the astounding scents of Mason jar candles to each space! One room Fields of Lavender, another Coconut Mango, the next Jasmine; you get the idea! The timeless allure of Mason jars and the irresistibility of homemade desserts make for an epic team. 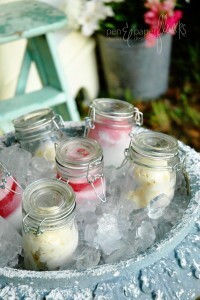 Scoop some ice cream into the jars and throw them on ice, or even use them for some wedding-themed snacks. Give the jars more chances to do what they do best: hold things! 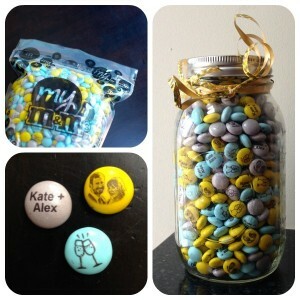 Have them hold wedding themed treats such as M&M’s, strawberries, crackers, cookies, mints, etc. Your guests will be thrilled with the delicious and repurposeful wedding favors. Whether you’re a wedding planner or planning your own wedding, be sure to check out our Mason jar wedding candles and wholesale discounts for your next event! This entry was posted in Mason Jar Candles and tagged mason jar wedding candles, wedding candles. Bookmark the permalink. 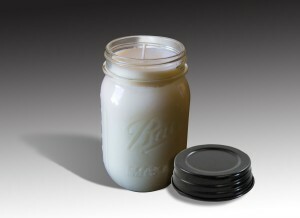 ← Wholesale Mason jar candles for boutique stores?